We're cheating slightly with our Best Nonfiction list for this year by including three books about Seattle past, present, and maybe even future. 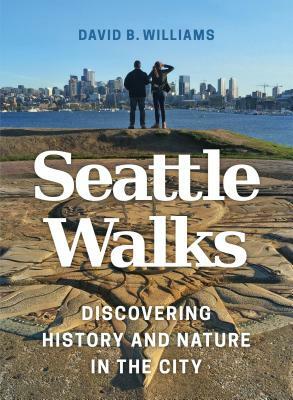 The future part is represented by Seattle Walks, David B. Williams's guide to touring our fair metropolis by foot. There's plenty of history within its pages, of course, and also nature and geology--enough of everything, really to make this a fantastic read even if you never hit the sidewalks or trails that Williams writes about. But make it a resolution that your 2018 and beyond will include plenty of strolling with this book in your pocket. Read about the test trip James took with Seattle Walks on our blog. In Seattle Walks, David B. Williams weaves together the history, natural history, and architecture of Seattle to paint a complex, nuanced, and fascinating story. He shows us Seattle in a new light and gives us an appreciation of how the city has changed over time, how the past has influenced the present, and how nature is all around us--even in our urban landscape.